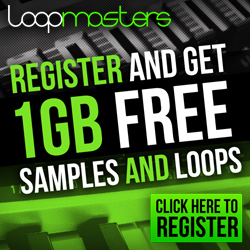 Free from Boz Digital Labs! 2 different modes plus a “combo” mode you have even more options to clean up your low end. Classic mode continues the legacy of version 1. The original Bark of Dog from Boz Digital Labs became a staple plugin in studios around the world and for good reason. It’s easy to use and it works. In version 2, you get the same controls, but they’re more intuitive. Passive Mode – The passive mode is almost the complete opposite from Classic mode. In fact, it’s designed to work like the simultaneous boost and attenuation of a famous passive EQ whose name rhymes with “EQP-1.” Essentially, it lets you boost your low end without getting muddy. It’s an awesome trick, and Bark of Dog 2 makes it so you can do it with one simple knob turn. Combo Mode – This third mode is actually just the first two modes put together. What it does is lets you boost the low end like you would in passive mode, but cuts out some of the super low stuff so you don’t blow your speakers up. It lets you push it harder than you would normally be able to. Background – The original Bark of Dog was one of our first plugins, and it was a huge eye opener. What was originally a plugin designed to promote the idea that resonant high pass filters are a super handy filter that should be used and talked about more, ended up being a plugin that was used on top hits all over the place. But I found another trick. One that adds big low end, but does it in a completely different way from the original Bark of Dog. I found myself switching back and forth between these two methods, depending on which one sounded better, and frankly, it got annoying switching between two plugins to figure out which sounded better. And that’s why I created Bark of Dog 2. With Bark of Dog 2, you can switch between both methods and quickly decide which one is best for your track. The Controls – For quick reference, Bark of Dog provides a short description of each control when you hover your mouse over any knob or button. This manual will give you a more in depth understanding of what these controls do. Presets – Bark of Dog comes equipped with its own preset menu. To save a preset, just hit the ‘Save’ icon next to the preset menu, type the name of the preset and hit ​enter ​. If you enter a name of an existing preset, the old preset will be overwritten. Presets can be organized into sub menus by sorting them into folders in your finder/explorer window. Note that the preset menu only supports one layer of sub folders, so if you put presets inside a folder that is inside a folder, the preset scanner will not find them. Presets are shareable across formats, computers and operating systems. This means that if you save a preset in your DAW in OSX, you can send that preset file to a friend who uses a different DAW on Windows and it will work exactly the same. Next to each preset control is a “Reset” button, which resets the controls to their default. For convenience, you can scroll through the presets by hitting the next/previous buttons. A/B Bank – This lets you quickly compare different settings in the plugin without losing your knob settings. As you make changes to the knobs on the plugin, those changes are saved into whichever bank is selected. Switch banks to change all the values to what is stored in the other bank. Note that when you first open the plugin, all changes are stored to both banks until you switch banks for the first time. This lets you change how the algorithm will work on stereo channels. You can choose between Stereo,​Mid Only, and​Side Only. Mid Only – This clips only the mid channel, and leaves the side channel untouched. Side Only – This clips only the side channel, and leaves the mid channel untouched. Mix – This lets you blend between the wet and the dry sound. This is a really effective way to let some of your dynamics back through after clipping them. Bypass Plugin – This switch enables/bypasses the entire plugin. The plugins background will turn dark when it is disabled. Nothing is worse than adjusting a knob and wondering why it isn’t doing anything, only to find out the plugin is bypassed. Mode ​ – Bark of Dog 2 comes with 3 different operating modes. You can switch through them quickly so that you can compare which mode sounds best for your given track. Classic ​ – This is the same algorithm as Bark of Dog version 1. It is a resonant high pass filter. Using a resonant high pass filter is a great way to get rid of all the super low frequencies without thinning out the low end. Passive ​- This mode acts like a classic EQ that lets you boost and attenuate at the same time. It simultaneously applies the boost and the cut, giving that classic low end boost. This mode is like a low shelf that can take extreme amounts of boost without getting muddy. Note: ​A great way to use the different modes is to switch up which mode is used on different tracks. Due to the nature of low frequencies, our ears don’t like to hear multiple sources of low frequencies at the same time. So using Passive mode on the bass while using Classic mode on the guitars is a great way to add heft to both without creating competing low frequencies. frequencies will be affected by the processing of the plugin. 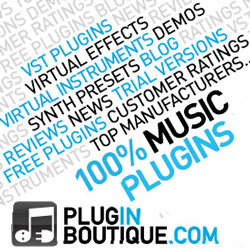 Boost – This controls how much the plugin will boost the frequency set by the​Hz​knob. Output ​- Adjust the output gain of thethe plugin. Sometimes boosting low frequencies can cause clipping, so use this knob to prevent that. great set of tools for creating plugins, and putting up with all our stupid questions. Contact – If you ever run into issues or have any questions, you can send an email to [email protected] ​. 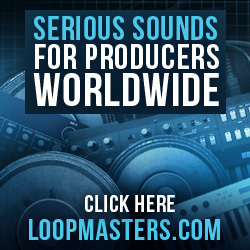 This plugin was crafted to be as light as possible on your CPU, enabling you to put this on many tracks without eating up your processing power. For Mac, you must be running OSX 10.5 or greater. For windows, you need Windows XP or greater. Registration – The first time you run Bark of Dog, it will ask you for your username and serial number. You can find this information in your downloads page. If you do not have a serial number and you would like to demo the plugin you can press “Continue Trial” to use the plugin in trial mode. Trial Mode – When Bark of Dog is in trial mode, you can use all of the plugin’s functionality. The only difference is that it will not save its settings when you close and reopen the plugin. The preset save function is also disabled, but the default presets will still load.